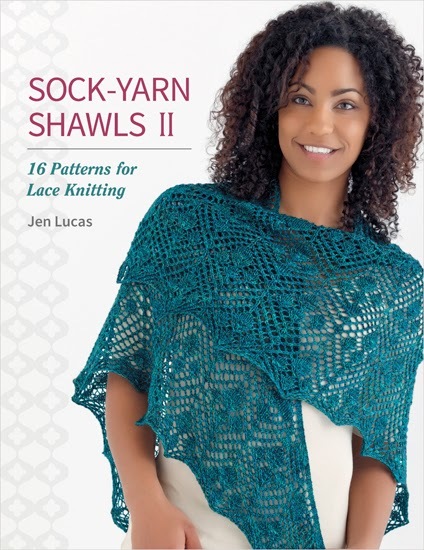 It's time to finally officially announce details about my new book, Sock-Yarn Shawls II. Hooray! Over the next few weeks I'm going to be doing a little blog series about the book. Each shawl in the book is going to be featured in a blog post. I'll be including all sorts of stuff. Story behind the design, tutorials, easy modifications and lots more! I'm so proud of this book. I really think there's a shawl pattern for everyone in the book. I definitely explored more shawl shapes and more yarn combinations with this time around.